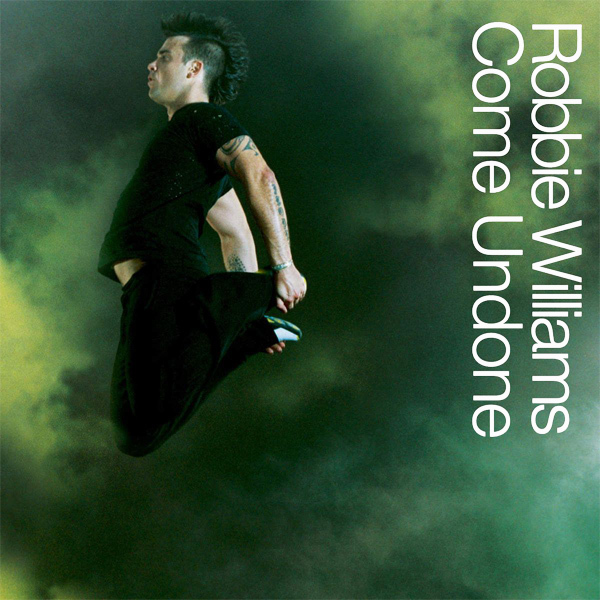 We think, though it's not exactly clear, that what has Come Undone on the original cover artwork of Robbie Williams single is most likely some kind of high powered spring. Though the spring is not visible on the cover, something does seem to have propelled Mr Williams into the ether. It's all a little hazy thought. On the remix we find a babe and it would seem that her bra has come undone. Nothing hazy or unclear about that. Any offers to help her redo it again? Clasp!